Happy Thanksgiving from Peoria Toyota! You’ll hear the word “thankful”, and “friends and family” a lot in this video, but it’s because we ARE truly thankful for our friends and our family as well as you and the community. We wouldn’t be here if it wasn’t for the continued support of the Peoria community and beyond and we’re very blessed and thankful for that this Thanksgiving and holiday season. Have a happy and safe Thanksgiving! You'll hear the word "thankful", and "friends and family" a lot in this video, but it's because we ARE truly thankful for our friends and our family as well as you and the community. We wouldn't be here if it wasn't for the continued support of the Peoria community and beyond and we're very blessed and thankful for that this Thanksgiving and holiday season. Have a happy and safe Thanksgiving! 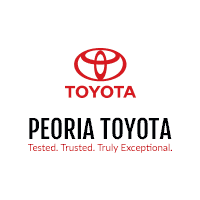 0 comment(s) so far on Happy Thanksgiving from Peoria Toyota!